With this webcam you can enjoy the view into the Zettersfeld skiing area, across to the Hochstein skiing area, down to Lienz, the Dolomites and on the East Tyrolean mountains. At the same time you see the current weather in Lienz in East Tyrol. Webcam location: Meckis Dolomiten Panoramastubn in Lienz Zettersfeld Faschingalm runway. View towards South-East. Great weather info for skiing in Lienz, East Tyrol. See Carinthia in the background. Webcam Lienz city, Osttirol - the weather in the city! 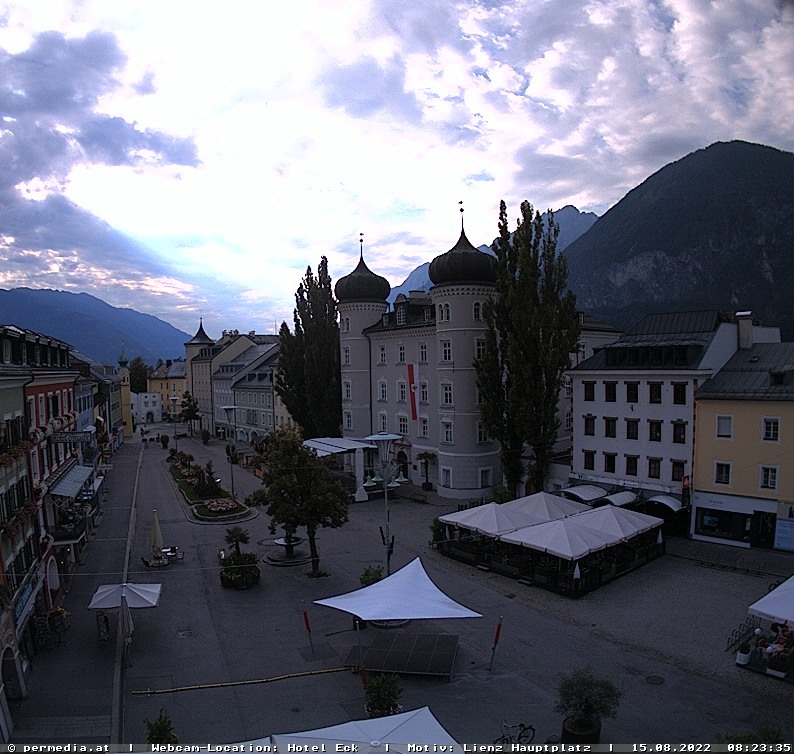 Webcam in the middle of the shopping district Lienz, East Tyrol. Surrounded by the Dolomites and the East Tyrolean mountains. View to the main square of Lienz, the Liebburg and the weather in the east of the city. This webcam offers a views of the ski area Hochstein in Lienz. In the background you can see the Osttirodler - the all year around tobbogan in Lienz.